I’m not one for making new year resolutions, but what I am doing starting from January is rewatching and rereading a few things together with some friends. This is your invitation to take part and then join in with the discussion. I should quickly mention, that I know how life (and by that I’m including work, family, the unexpected) can stall a great idea like this, which is why I’m doing all of them at a reasonable pace. So if you want to join in on one of them, then please do, but there’s no pressure and we’re going at a steady pace so no one gets left behind. 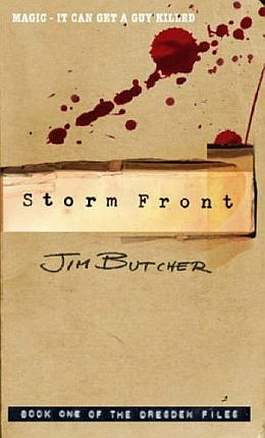 The Dresden Files reread – First up, I’m an enormous fan of the writer Jim Butcher and I think he is a very talented guy. The Dresden Files are one of my favourite series of books, ever really, but there are quite a few of them out now, and although I know what’s going on in the story now, I am sure I have forgotten some of the smaller details. I’ve forgotten character moments, seeing the clues that led to greater things and dooms to come, and there are seeds planted along the way. So overall I’m very excited about starting from the beginning and reliving all of the amazing moments and witnessing the growth of Harry. My reading buddy on this is Stacey Whittle, she of the Small Press Big Mouth (small press comics podcast), the Whittle Waffle podcast (solo podcast where she talks comics, TV, film, geek stuff and of course knitting!). Both podcasts are on iTunes and she is @Stace_W on Twitter. We are reading one Dresden Files book a month. As I said, it gives us time, just in case. 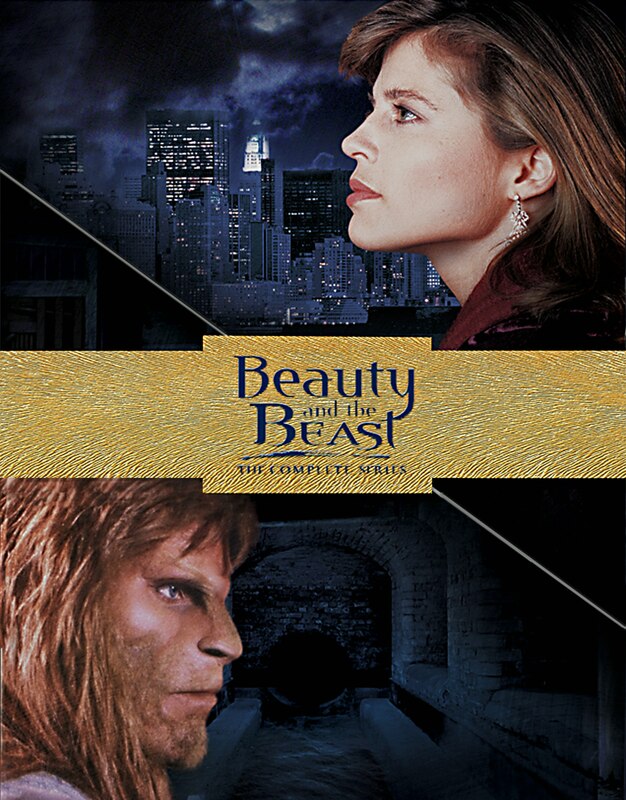 Beauty and The Beast rewatch – Through talking to some friends at conventions and also on Twitter, I quickly realised that one of my childhood cornerstones, and slightly guilty pleasures, is the Beauty and The Beast TV series that ran from 1987-1990 starring Ron Perlman and Linda Hamilton. It was awesome. There’s been a TV remake in name, and what little I saw, I thought was megacrap. The Beast, is a pretty boy with gel in his hair and a scar. Enough said. The original and still the best from the 1980s, is slightly smushy, but also very moving TV show, with opening music and credits that still give me chills to this day. I just loved it back then and still do. Catherine was a tough woman who as an assistant district attorney, sometimes got into a fair amount of trouble. And there to help her, was the intelligent, sensitive but also very angry and powerful Vincent, played by Perlman. This would be the first of many roles in which I think Perlman to be far more attractive with heavy make-up than without. He’s not a bad looking guy at all, but he’s also got that in common with Andreas Katsulas, who as G’Kar in B5 was mesmerising and women were instantly drawn to him, but less so when himself. It’s an interesting idea I might revisit in another post. Anyway, another lesser known fact is that a certain George Martin worked on the show as a writer and executive producer. Yes, the George RR Martin of Game of Thrones fame as he is now known. So, CE Murphy, Liz de Jager, and I will be rewatching the whole show, from episode 1, at the reasonable pace of one episode a week starting in January. It’s available to buy on DVD and is also available to stream from various online sources. We’re going to have a Twitter hashtag, and we’ll all chat about our second, third or tenth impressions of the show, somewhere online at a place to be decided. So, follow them both on Twitter, and I’ll post on here again when we start watching so you can join in if you want. Babylon 5 rewatch – This is something I’m not doing at a set pace, but I have started rewatching the whole show from the start. Given the chance I can and will talk your ear off about this TV show for hours at a stretch. Put very succinctly, it is my favourite SF TV show ever. It’s not perfect, and the CGI and make-up is not up to today’s standard, but there’s a reason Star Trek The Original Series and old Doctor Who are still revered today by many fans. It’s because if you can look at it with slightly historic eyes and ignore the old tech, the shows were groundbreaking at the time and are still great shows with fantastic stories. B5 is like that. To me it’s a masterpiece in writing and character development, and is a TV show with individual seasonal arcs and an overall story arc, long before such things were common. It led the way for this sort of thing on TV, which a lot of people don’t realise. It’s a 5 year story done right. None of this making it up as we go along and hoping we can sort it out in the end (Lost). It’s one big story, with seeds planted from day one. So, I’ll be posting here periodically with my thoughts and impressions, so feel free to join in on the rewatch.